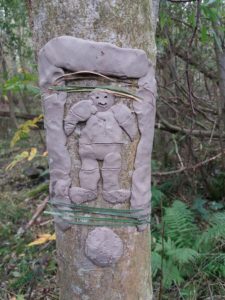 The Nature Walks for Wellbeing project offered adults living in Falkirk who were struggling with their mental health the opportunity to spend time in a natural outdoor setting and take part in a range of nature-based activities within a group. Research shows that being physically active can improve mental wellbeing as well as physical health, and research also suggest that exercise in an outdoor, natural environment can be particularly beneficial. Nature Walks aimed to offer a holistic approach to mental health by supporting the three strands of wellbeing as described by the World Health Organisation – mental, physical and social – through a range of outdoor activities. Two programmes of 10 sessions were delivered, from September to November 2017 and from April to June 2018, with participants engaging gin a range of outdoor activities including exercise, natural art, guided walks and photography. The sessions took place exclusively outdoors, within natural woodland and canal-side settings in and around the Falkirk Wheel. All sessions featured an element of physical activity, whether a gentle walk through the main woodland or longer walks along the canal, more formal physical activity in the form of yoga or gentle exercise classes. The project also aimed to increase the confidence and social skills of those taking part by offering the opportunity to tr a new and different type of therapy. By taking them away form the clinical setting into a natural environment, it was hoped that they would being to feel more relaxed, which could in turn have a positive effect on their mental wellbeing. After spending 90 minutes outdoors during sessions, participants regularly reported feeling “better” and more relaxed, and staff attending spoke about feeling less stressed. Attending the sessions together also appears to have allowed participants and NHS staff to forge stronger bonds b giving them the opportunity to spend time together and socialise outside of the clinical setting. It is hoped these improved relationships can benefit the future clinical experience. 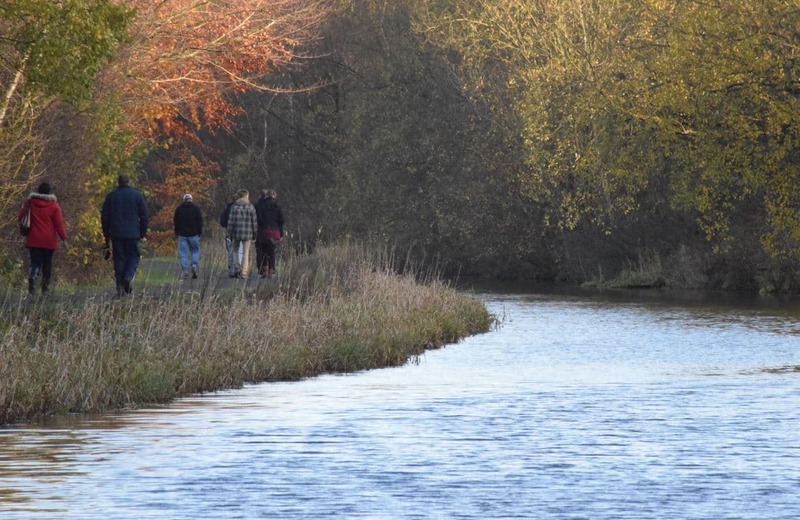 Given the positive reaction to Nature Walks for Wellbeing from both the patients and the NHS staff who took part, and the desire of both parties to continue with such activities in the future, Scottish Waterways Trust will explore opportunities for future funding which would allow us to continue offering the programmes. The project was run by Johanna Maloney, Senior Charge Nurse at Woodlands Resource Centre in NHS Forth Valley. 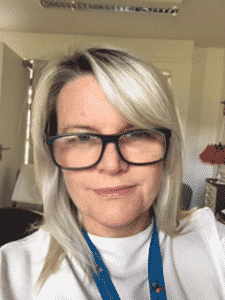 She said of the experience: “Having the opportunity to be involved in the project has encouraged me to think about third sector when developing services. It gave me a greater insight into the expertise that can be offered outwith my specialist knowledge/service and working in partnership not only can enrich experience for people with mental health problems but also offer more opportunities for people and in turn the community will also benefit. I am more open to suggestions of future projects and will reflect on what might have been done differently and help with sustainability. We had many positive responses from people who were involved in the project. One gentleman who has schizophrenia and finds it really difficult to engage with people, attended every week without any prompting and though very quiet seemed very interested in everything that was going on.